Hurricane Sandy hindered our plans last year for a photo walk with Bushwick's legendary photographer, Meryl Meisler. This year, another, maybe even better opportunity presented itself. Bushwick Daily has teamed up with The Living Gallery, PWP, and the one and only Meryl Meisler to bring you a memorable interactive photo walk of Bushwick this Sunday! 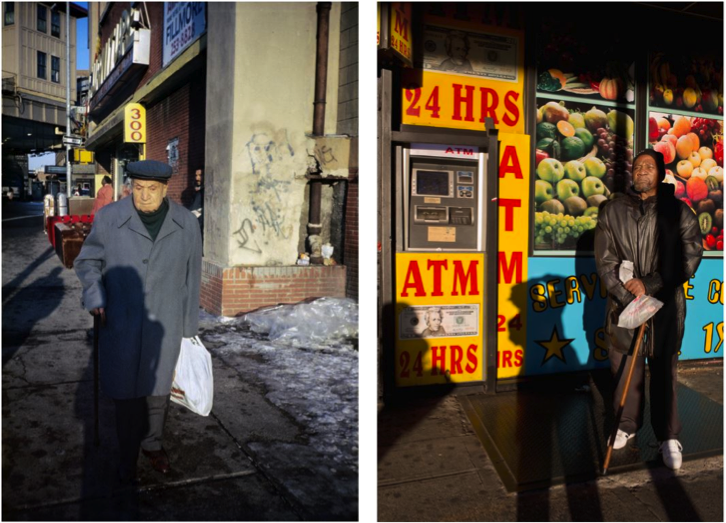 Meryl Meisler, who used to be an art teacher in Bushwick in the 1980s and 1990s, has been snapping photos on her way from and to school every day. Thanks to her loving eye she captured Bushwick life despite unfortunate circumstances in an uplifting manner. Today her photographs are invaluable source to everyone who loves this neighborhood and honors its history. And Meryl? She hasn't stopped taking photos of Bushwick street life! To the contrary, she is an important, positive force of this neighborhood, acting like a link between the old and new Bushwick. This upcoming Sunday we'll meet you at Meryl Meisler's photography exhibition at The Living Gallery: Defying Devastation: Bushwick Then & Now which presents Meryl's photographs from 1980s and today's Bushwick. To celebrate this occasion, Meryl will take us all for a photo walk! And that's not all - she has asked her friend, Bushwick historian Adam Schwartz, to map a route for us and include all the famous and infamous landmarks. Every participant will receive their own map so that you can either go with the group or on your own pace. Bushwick Daily editors will create a post of the best photographs and Instagrams taken at the walk. Please submit to katarinaATbushwickdaily.com, and hashtag your Instagrams #bushwickdaily. Suggested donation to participate is $5, and all the proceeds will go to benefit the Bushwick Independence Housing Project, a non-profit that helps low-income tenants in Bushwick. See the exhibit "Defying Devastation: Bushwick Then & Now." Learn more about BHIP, PWP, The Living Gallery, Bushwick Daily, share tips and philosophies on street photography, and have fun! RSVP on Facebook and see you there! !